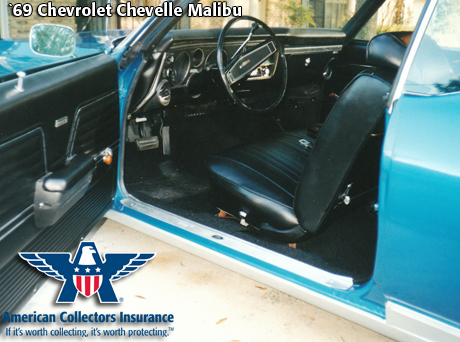 We want to hear your Collector car story. My husband & I were married in Sept. 1968. His car broke down soon afterwards and was not worth the repair cost so he had to drive my little Ford Falcon which he did not like because he had always liked Chevrolet sporty, muscle cars. 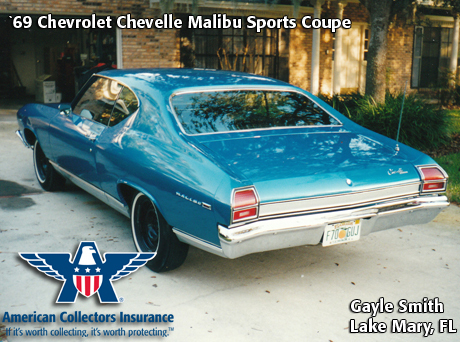 We decided to trade my Ford Falcon in on a brand new Chevelle Malibu Sports Coupe. We had to factory order it from the dealer to get exactly what my husband wanted. I remember we ordered a front “bench seat” instead of two bucket seats because we were newly married and we liked to sit close together. And of course it had to be Lemans blue (our favorite color). 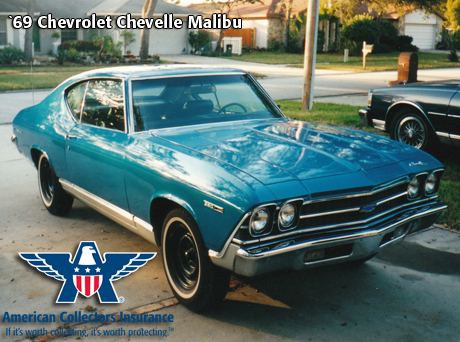 We finally got it in March 1969 and it was the most beautiful car I had ever seen. And wow, what a power horse! I got caught for speeding because I wasn’t used to that much power. We’ve raised our 4 kids and had several other cars since then, but we still have that car, our first car together. We gave it to our son on his 16th birthday and it came back to us when it broke down and he decided he wanted a new car. It sat neglected in our garage for many years until my husband had the time to restore it. He took a welding class at the college and ordered repair manuals, etc. He took the car totally apart and hung all the parts from the ceiling. There was no car in the garage, only parts. It took him 5+ years to methodically restore each part and put them all back together. After the new custom paint job was done, it brought tears to my eyes as I looked at that beautiful new car and remembered that first time I saw this car as a new bride. View all submitted stories here.